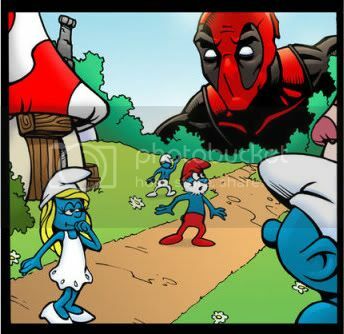 What If Deadpool Found Smurfville? If you're around my age I'm sure you're familiar with the Smurfs whether you admit it or not and if you've been reading comics or haven't lived in your Mom's basement for the past decade you've most likely heard of Deadpool too. So what happens when Deadpool stumbles onto Smurfville? 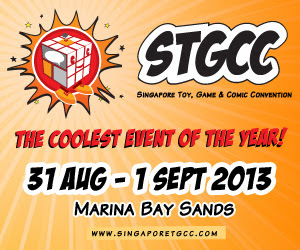 Do you think he'd find them cool because of their blue skin or would he train the little guys into super mini-assasins? Check it out after the break.